These telescopes with their 60 mm aperture and 500 mm focal length provide a very detailed resolution for observing and imaging the sun. However, with a weight of approximately 3.5 kg the telescopes can easily be carried by most photo tripods. The tube rings of these telescopes are fitted with a 1/4”-20 thread for mounting it on such tripods. The sensitive Etalon systems are well protected in the telescope tube installed and provide a bandwidth of <0.75 Angstrom. 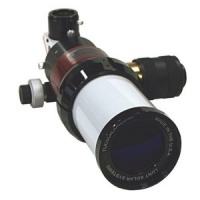 A integrated matched collimation lens set fully corrects on axis coma, astigmatism, and de-centering aberrations and provide a full spherically corrected flat-field solar telescope. 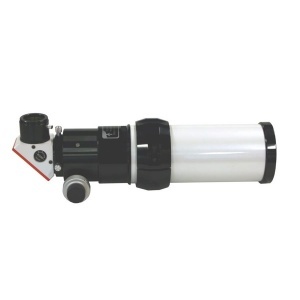 We offer these telescopes alternatively with our B600 or B1200 blocking filter to you. The larger B1200 blocking filter will be better for imaging, because it provides a smaller vignetting. 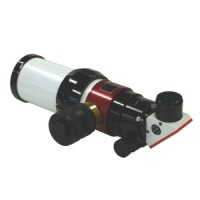 Normally these telescopes are equipped with a 2” Crayford focuser with 10:1 reduction. They are also available with the legendary Starlight Instruments Feather-Touch focuser, one of the best focuser in the world. Certainly also with 10:1 reduction. All versions come with a robust aluminum-case as part of the standard package. 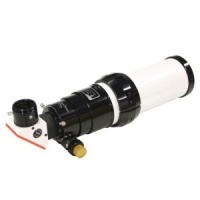 Complete H-alpha Solar Telescope with 60mm aperture and <0.75 Angstrom bandwidth.